Add SEO to your Skills as a Freelancer. Join the SEO 101 Seminar! In the spirit of bringing back to the community of freelancers, we’re inviting our fellow online professionals to an opportunity to up their skill set! Please join us a for a productive, and educational day of learning: The SEO 101 Seminar. It will be held on November 12, 2016 (Saturday), from 9am – 4pm. Watch out for the venue announcement. 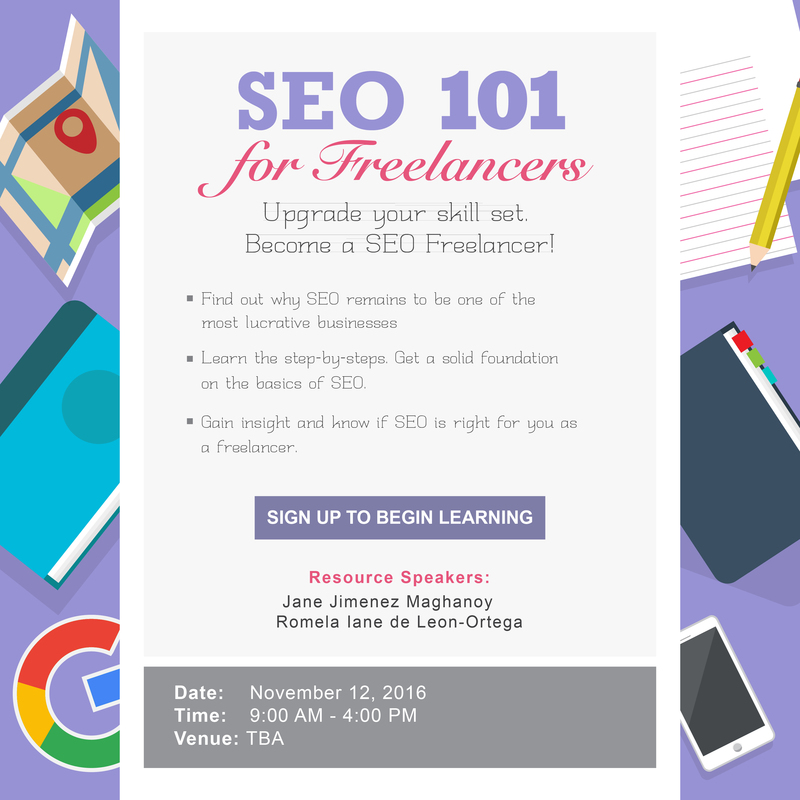 This seminar is for people with 1-3 years of experience as an online freelancer, and would like to add SEO to their skillset. Ideally, these are people with no prior experience in SEO but have a working web experience on various digital jobs.